This badge was issued to Fioravante A. Bossi on 07 Sep 2018. 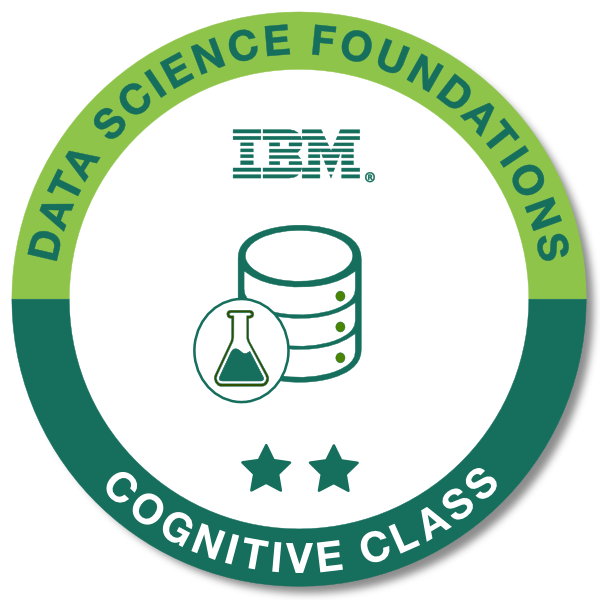 This badge earner has a solid understanding of data science methodologies, and tools. The individual also has a hands-on appreciation of programming languages to use in data science tasks. Successful completion of the course "Data Science 101". Successful completion of the course "Data Science Methodology". Successful completion of the course "Data Science Hands-on with Open Source Tools".